Joniver Robles is a four chair turner who mesmerized the coaches as he had performed “I Don’t Need No Doctor”. Joniver sung Lea a love song but eventually picked Bamboo to be his coach, which humbled Bamboo. The coaches expressed how well he performed and how he had a talent singular among those who performed on the stage. Sean Oquendo looks like a rock star with his tattoos but admitted that his style is contrary to how he sings. Singing ‘Ako na Lang’, he tried to convince the coaches to turn. Bamboo seemed to hesitate at first but he also seemed to be just waiting for something before he eventually press the big red button. 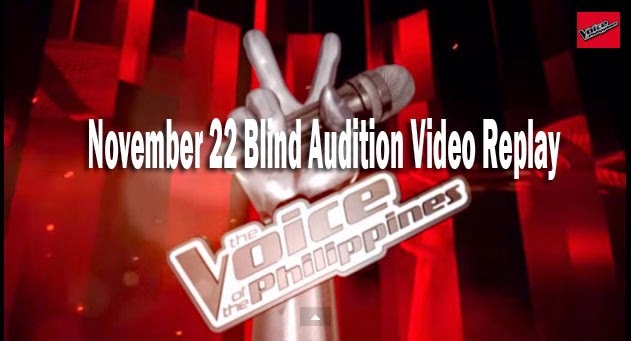 Christelle Tequis struggles to make her family whole again and hope to do so as she joins The Voice. She aims to find her missing father and have a closure in her family. Ating her performance to her mother, she sung ‘To Make You Feel My Love’. Lea and Apl De Ap immediately turned his chair. The artist became emotional but was able to perform well. She picked Lea to be her coach, hoping to develop her talent. Patricia Gomez is a half Columbian artist who loves sports but turns out to be shy when singing on stage. She performed ‘Hit the Road Jack’ but seemed to be hesitant to reach the high notes. It was Bamboo who turned for her which gave her a ticket not only to be in his camp but also to join in on the next round. Ferns Tosco is a proud artist from Boracay and had amazingly brought the island at the very stage. She had gone to various places, chasing her dream and living her passion for music. She picked Apl De Ap over Lea and did so in a unique way after performing ‘Ang Buhay Ko’. Elmer Jun Hilario from Mandaluyong works as a wedding singer and can play 7 different musical instruments simultaneously. It was Sarah’s turn to press the button solo and did not regret it. It was Bamboo who regretted not turning his chair in time. At the end of the night’s show, Camp Sarah now has eight artists, Elmer Jun Hilario , Mark Dagal, Daniel Ombao, Vanessa Monot, Jason Dy, Kokoi Baldo, Monique Lualhati, and Demie Fresco, while Camp Apl has got seven artists – Ferns Tosco , Alisah Bonaobra, Samantha Felizco, Bradley Holmes, Mecerdital Quiachon, Jannet Cadayona, and Mark Cando. On the other hand, and Camp Lea is now with five artists, Christelle Tequis, Jem Cubil, Leah Patricio, Miro Valera, Timothy Pavino and Camp Bamboo, has eleven artists, Sean Oquendo, Patricia Gomez , Joniver Robles, Lougee Basabas, Shaira Cervancia, Kai Honasan, Ramonne Rodriguez, Dang del Rosario, Karlo Mojica, Rence Rapanot, and Tanya Diaz,.